You can represent your favorite time of the year with style and display this Mod Christmas Indoor or Outdoor MatMates Doormat. 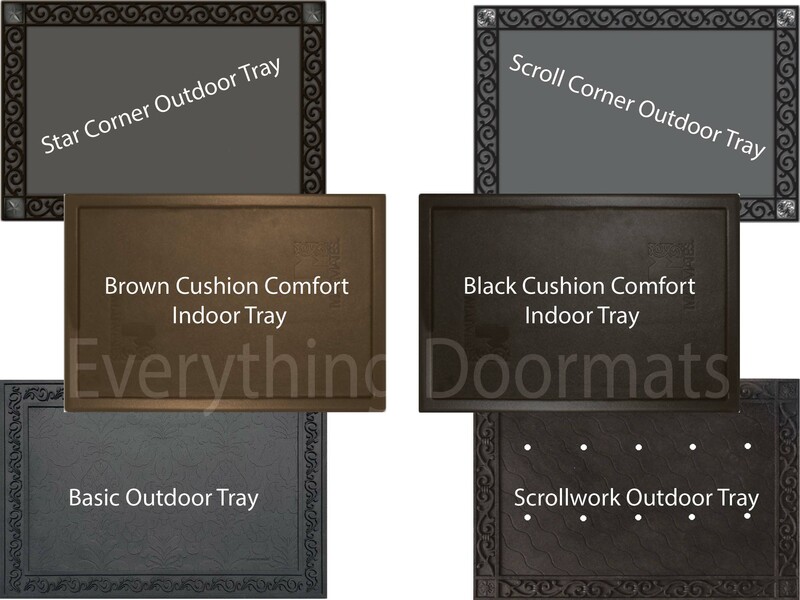 Pair your mat with our unique indoor or outdoor trays. There's no better way to decorate for Christmas than with this stunning mat at your kitchen sink, front door, by the fireplace and many other places. This mat was created to be used inside the home or outside. Note: The Mod Christmas Floor Mat is pictured in our Scroll Corner Outdoor Tray. The outdoor trays and cushion comfort trays are sold separately.